I love creating my own homemade salad dressings. 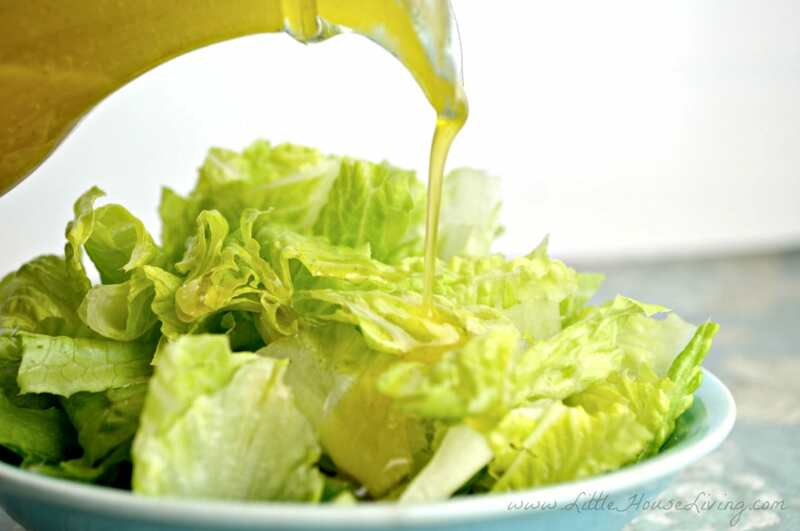 There is such satisfaction in creating a vibrant, flavorful dressing using fresh ingredients. 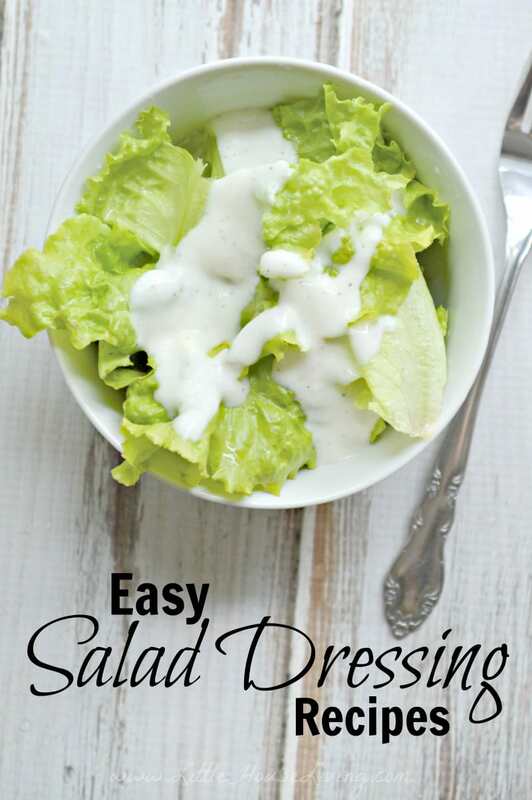 Creating homemade dressings is surprisingly easy! Most of the time, I already have the ingredients in my pantry to whip up a fresh batch in just a few minutes. There are so many different ways to adapt recipes and even invent your own dressings! 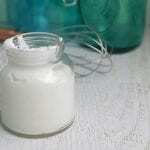 My husband loves traditional homemade ranch dressing (you can make your own ranch dressing mix recipe! ), but I love variety, so I try to make a different dressing every week or two. When I was visiting with Merissa the other day, she mentioned she picked up a cookbook recently that was published in the 1930s. I love old cookbooks, because they have simple, yet traditional recipes using wholesome ingredients. Merissa found a recipe in her cookbook for Russian dressing, so I asked her to share it with me so I could try it out! This recipe has a bright citrusy base of lemon, sugar and water, boiled into a flavorful thick syrup, then it’s blended with a good olive oil, bold grated onions and then ketchup to make it creamy. It has so much going on. You get to experience a different layer of taste with every bite. It was definitely a hit in my house, and I think you guys will love it as well! In a small saucepan, combine sugar, water and lemon and bring to a boil. Stir frequently, cooking until starting to thicken. Remove from heat and transfer to a bowl. Use a fork, whisk, or electric beater to beat sugar water until it’s a syrup consistency. Add in remaining ingredients, and whisk until well combined. 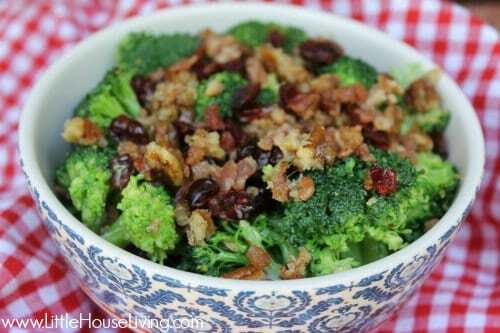 This recipe makes a little over a cup of dressing. 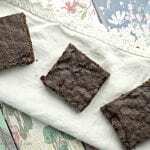 The actual recipe says it should stay good in the refrigerator indefinitely, but I would recommend trying to use it up within 2 weeks of making it. You shouldn’t have any trouble with that, because it’s so good. Do you like Russian dressing? 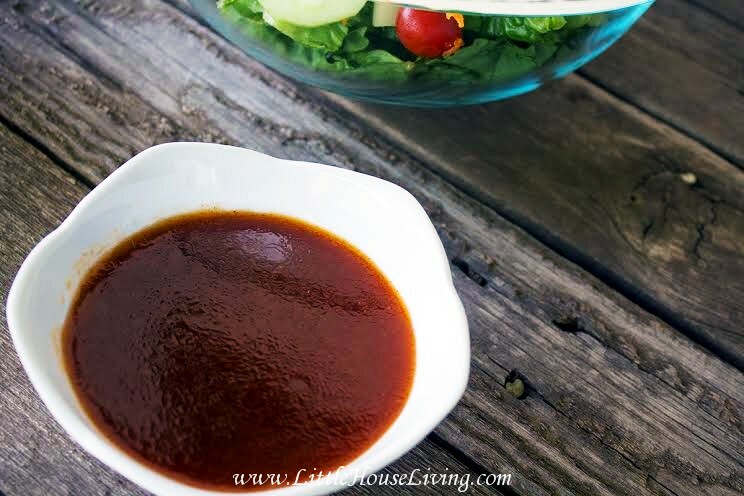 Have you ever made your own homemade salad dressings? Oh that looks good! Stumbled and Pinned this for later! Thanks! I haven’t had that dressing in…well like..forever. mother used to make it when I was a kid. I like this — it looks quick and simple, which are two major factors I look for in the food I make. (“Cheap” is the third — and this looks inexpensive as well). I make a lot of my own salad dressing, and I had never thought to heat it in the saucepan first. Makes sense, though — I imagine it helps it fuse and bond together. I have a recipe from my grandmother she called French Dressing. It has similar ingredients. Love the tangy/sweet flavor. Thanks for sharing at What’d You Do This Weekend. 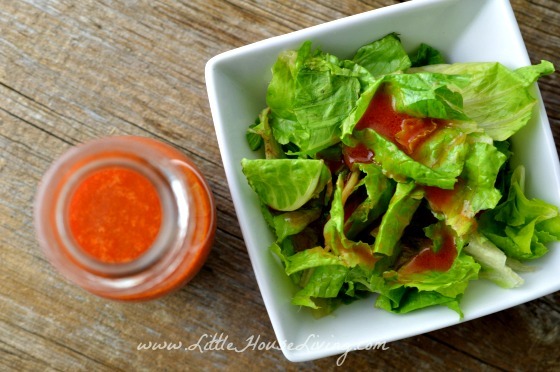 My hubby really likes Russian Dressing so this recipe will come in handy this summer. I love this. I too make my own dressings. I do not use celery salt enough. 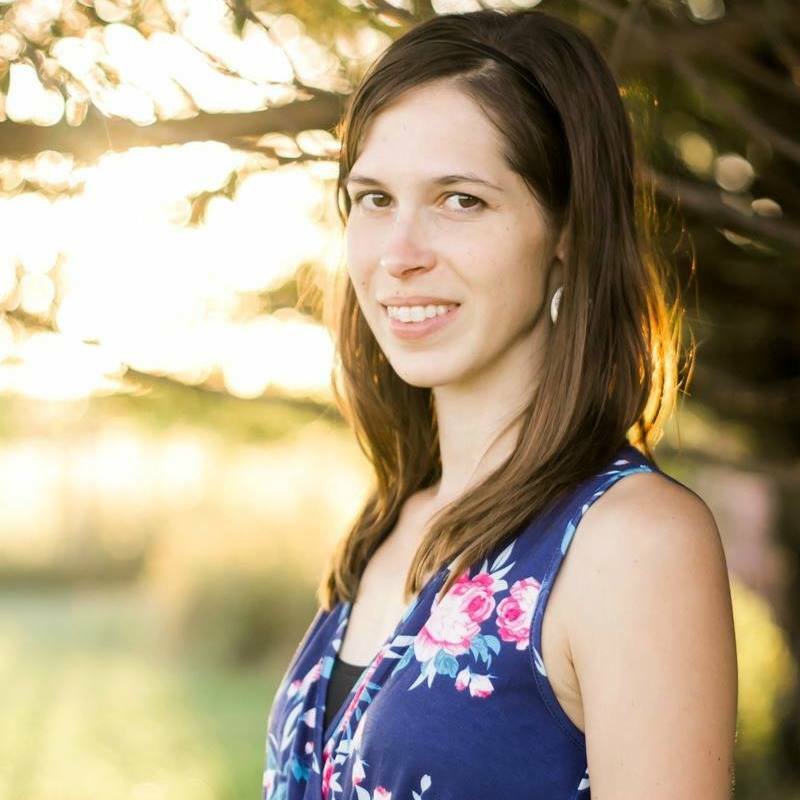 Thanks for sharing this at Tips and Tricks Link Party. Pinned. Just pinned this to try. I have never tried to make a salad dressing but look forward to giving it a go. Store bought is so expensive and often seems to have an aftertaste that is unpleasant. BTW, love the LIttle House Living concept, I’ll be back! Looks like a great recipe! Thanks for partying with us this week at Let’s Get Real. Love your blog name, by the way. Found you at One Project at a Time! 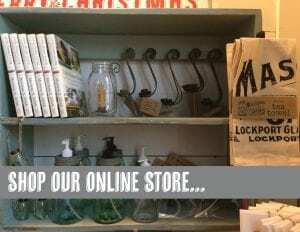 If you want – stop by & grab a featured button. Thanks for the recipe. 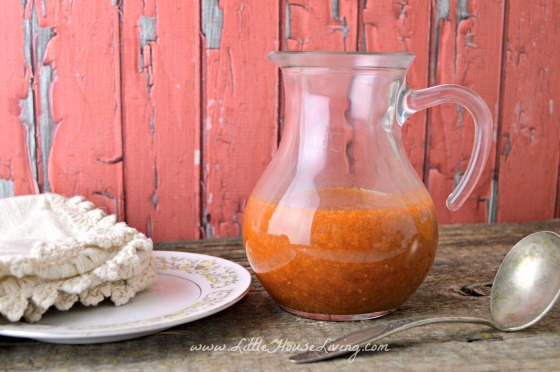 I’ve never thought about making my own Russian dressing so I’m pinning this and following you on Pinterest. 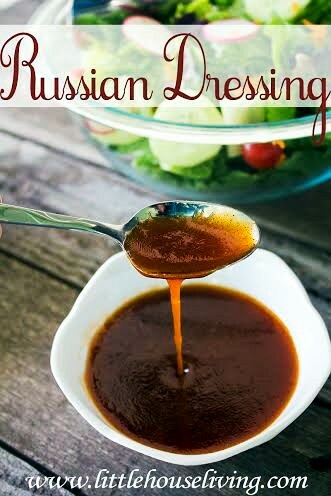 I used to love Russian Salad Dressing and haven’t had it in a while, I will be trying your recipe very soon! Hope you have had a great weekend and thanks so much for sharing with Full Plate Thursday! Yum, yum good, thanks for sharing at the #WWDParty. This sounds wonderful! My youngest is a salad eater and will eat salads for a snack. I’m always looking for new dressing recipes for her. Pinned. I came to your site to check out your Worcestershire sauce recipe. I vow to make it over and over until I get it to taste exactly like Lea & Perrins! I then came across your recipe title for Russian dressing and had to look & see how you made it. My first shock was to see the color in your photo and it not looking ANYTHING like the recipe for Russian dressing I grew up eating that my mother made. I suppose there are different types of Russian dressing,after all it IS a big country! LOL! I plan on trying yours’ to see how it tastes as well because it sounds good. The way my mom made it and now me, we never used an exact recipe we just made it by color & taste. It has very few ingredients and you can add to it to make it your own and also to turn it into Thousand Island Dressing.We would start with a big glob of Hellman’s Mayo. ( Better taste and other brands seem too thin. Amount based on how much dressing you want to make as this is the MAIN ingredient) Stir it with a small whisk until it is smooth. (For some reason it seems more difficult to remove any lumps after other ingredients are added so I mix the mayo alone first) Then add HEINZ Catsup about 1 to 2 Tbs. per 1 cup of mayo , or until it is a light pink color.Then add Lea & Perrins Worcestershire Sauce, several drops, maybe about 1Tsp. per the amounts above, and then garlic powder, a generous sprinkling. Mix all together and eat right away or put in fridge for later. Anyone I have ever made this for has raved about it and of course our entire family loves it. I remember the first time I made it for my ex-husband, even he was shocked at how much he loved it! You can add chili sauce to it and turn it into your own version of Thousand Island. I am going to try fresh garlic in it next time I make it. I am sure it will be even that much better. One hint about this dressing? 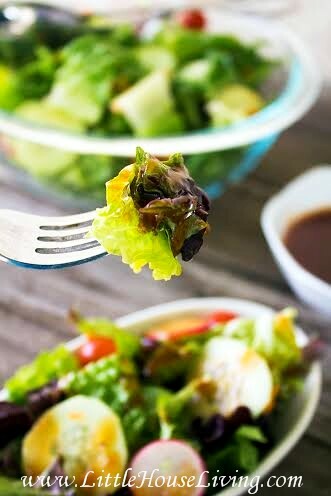 When you plate up your salad, It mixes well with Italian Dressing! They compliment each other. I also love to eat it on hard boiled eggs. I discovered how good it was on eggs the first time I ate it on a homemade Chef’s Salad. Now when I make it I boil extra eggs so when I am starving and too lazy or sick to make something to eat, I peel a couple of eggs and fill a ramekin with dressing and am totally satisfied! Feel free to try this at home and use it on your blog if you want as long as I get credit for the idea! LOL! This is my first time putting it out there except on the CopyKat (chat) site where I have been a member for years.My recipes are in the chat section not the regular copyKat recipe part. I am looking forward to checking out more of your condiment & dressing recipes. I have made my own dressings for years. Creamy Italian was another one I came up with when I found it impossible a while back to find it in stores and a dinner restaurant at the top of the Contemporary Hotel at Disney used a Creamy Italian dressing mixed with a Blue Cheese dressing as their house dressing and I was shocked as to how much I loved it when I previously would not go near Blue Cheese! I don’t think it is actually Russian. There is a very slim possibility that my country could have back in 1930s the soy or fish sauces (ingredients of Worcestershire). I also don’t remember using a ketchup (may be it should be some tomato sauce?) in salads before 1980s… But your dressing definitely looks like a marinade for meat or bird (in 1930s Russian ate less green salads or fresh vegetables and more heavily cooked meat and vegetables). I presume the name “Russian” gives some extravaganza to this recipe, but it is rather misleading. This recipe wasn’t made to be a copy of a dressing from another country but rather a make-it-yourself version of a popular dressing with the same name. I hope that helps! Still not clear why it’s called Russian since half the ingredients are very non-Russian (ketchup, Worcestershire sauce, olive oil). Besides, the concept of making a salad a and a dressing separately is very foreign for Russian people. Russian salads have their dressings already incorporated in them and you don’t get to pick what you want in it because it’s a part of the salad recipe. This dressing is about as Russian as French fries are French. Sorry, I may sound bitter but this kind of recipe labeling contributes to America’s general ignorance. Do you really know about Russian Dressing? Then you would know that it’s not actually of Russian origin at all. Or just keep Googling to learn more….. I can agree with you completely. Sounds like Russian salads are like ceasar salads, with everything mixed in a bowl then served. Eat it or don’t! We are not changing it for you. Yes this is “Americanized”! All things in this country are, all for commercial sales! Like French or Russian dressing sounds better than Catalina. Which is why most people haven’t heard of Catalina. Lol not trying to make light of what the US does to other customs. It’s just all consumerism and advertising here! I thought Russian dressing was creamy? ?